I remember growing up through the ranks of the Army – how exciting it was to get promoted and assigned to positions of increased responsibility. I always felt honored to serve and been blessed to have had people believe in me. My tireless thirst for knowledge paid great dividends at most every turn. But as I reached more senior ranks, leading became more lonely. In all honesty, I began to believe I needed less help to be successful. I had such a high self-image that asking for advice became, in my own mind, a perceived weakness. Fundamentally it is the fact that key beliefs that enable a leader’s success over time also create obstacles in the path of progression. I was reawakened by Marshall of the need to be more open to change if I was going to be successful as a General. 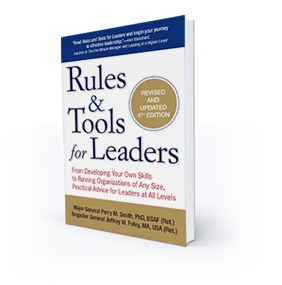 It became clear to me that the leadership skills that enabled me to reach this level may not be the best leadership skills I needed to be most effective. I learned, yet again, that the best leaders are lifelong learners. Why is it so difficult for successful people to change? Marshall Goldsmith says that successful people tend to hold three distinct and powerful beliefs about themselves. I have experienced these beliefs myself and witnessed them in so many others. They are so good that I wanted to share them with you – they may help. I am successful. Successful people are full of self-confidence based on past successes. They have a positive image about themselves, are confident in their knowledge, skills, and abilities. Their positive attitude is contagious. They have faith to take the risks needed for future success. The problem with these people is they begin to believe their way is always the best. They overrate their own contributions. They have difficulty accepting constructive feedback that challenges their own self-image. They resist the opinions of those who are not as successful as them. Arrogance creeps in, egos grow and they quit listening. When listening stops, change stops. I choose to succeed. Successful people are self-reliant. They make decisions today out of a strong sense of personal commitment and ownership. The challenge here is their need for control may cause resistance to change. They may fear that simply asking for advice could cause a perception of weakness by others. They often do not realize that when you get promoted, it becomes more difficult for people to tell you the truth. They become superstitious and any change in their behavior may cause the string of successes to cease. In their head and heart, they truly believe they do not need to change. I will succeed. Successful people are almost always unflappably optimistic about the future. They are resilient in the face of adversity and setbacks. They never quit on what they choose to accomplish. It’s the reason why some people raise their hand and say “Put me in coach” when the boss asks for volunteers! Challenges abound for these people however. Many over commit and drown in a sea of opportunity. Some simply fear failure. Optimism can become a liability. Some leaders will pursue victory at all costs – an unhealthy addiction to winning. The bottom line here is that each of these three beliefs help us grow and potentially keep us from growing further as a leader. When leaders say they do not have time to address their leadership challenges, they often fall into one of the 3 beliefs. There are consequences to entire organizations when senior leaders fail to acknowledge the need for change in their behavior. By having a better understanding of these beliefs, leaders can increase the likelihood of making the changes needed to be more effective in their daily lives at work and home. I still have my notes from Marshall’s coaching time with me. I learned tons from him – he helped me become more effective as an executive leader in our Army. 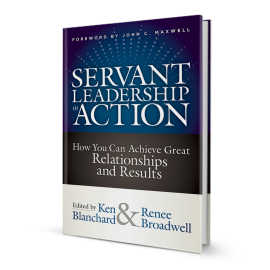 To learn more about how to grow as a senior leader, I highly recommend one of Marshall’s best-selling books What Got You Here Won’t Get You There. It takes courage to honestly look at what behaviors you would benefit from stopping, starting, or changing. It takes humility to ask for help and genuinely listen with the intent of being influenced. And it takes discipline to stick to a routine of new behaviors designed to achieve actual change.